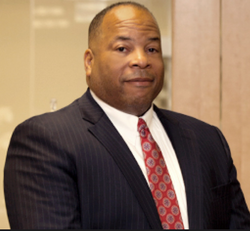 Attorney Eric Paris is a highly experienced car accident lawyer serving Pomona, California. The Paris Firm helps people injured in car accidents obtain financial compensation for the damages they have suffered. Since 1994, our law firm has won verdicts and settlements for our clients’ pain and suffering, property damage, medical expenses, lost wages, lost future earning capacity, and other accident-related losses. In fact, Mr. Paris started his practice in Pomona on Thomas Street over 20 years ago before moving his practice to Chino Hills. 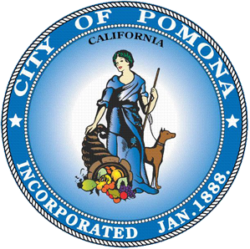 Pomona is a highly populated city that leads the local area in car accidents and fatal collisions. Any type of car accident can cause an injury to drivers and passengers, from major freeway collisions to low speed crashes at stop signs or in parking lots. Yes. There are tremendous forces involved in a car accident that may result in serious injuries, although the symptoms are often subtle. In addition to seeing a doctor shortly after the accident you should watch out for symptoms of injury. Once you have sought medical attention, contact the Pomona car accident lawyers at The Paris Firm to schedule a free consultation. Do I need an attorney for my Pomona car accident claim? Should I take a settlement offer the insurance company has made? When your insurance company makes you an offer, it is based on an expectation of what they might have to pay for your accident. It’s almost always at the lower end of what your accident is likely to cost in the long run, even if it seems like a lot based on what you have paid so far. If you’ve received an offer to settle your car accident claim, talk to lawyer who has seen hundreds of settlement offers and get a second opinion. We regularly work with certified life-care planners in Southern California to make sure that all your accident-related needs are met. We identify all liable parties and pursue financial compensation to cover the full extent of your damages to make sure you’re taken care of today, and tomorrow. What you do in the minutes after a car accident may have potentially serious ramifications to your health, safety, and the outcome of your car accident claim. If you or a loved one has suffered a serious injury or wrongful death due to the negligence, recklessness, or carelessness of another driver, you have the right to obtain financial compensation for the damages you have suffered. Call The Paris Firm today at (909) 551-4040, serving car accident victims in Pomona, and schedule a no obligation consultation. If there is no recovery there is no fee and there are no up-front out of pocket fees. Our firm advances costs on behalf of our clients.